Network Disability Management Services was established in 1995 as an independent case management company with a basic course of values: a fundamental commitment to excellence and integrity, a dedication to improving the lives of injured workers and a focus on successful outcomes for the injured worker, the employer, the third party administrator, the physician, as well as the attorney. Our team provides a wide array of services to facilitate healthcare cost control while preserving the quality of medical and vocational care. We realize that companies, large and small, need effective tools to help control workers' compensation costs. We consider ourselves true business partners to each of our clients. We are devoted to delivering quality rehabilitation services, as well as strategic and innovative solutions focusing on optimal results. The professionals at Network Disability Management Services recognize the need for effective and comprehensive medical and vocational case management services. Our proactive approach provides individualized and personable attention to every detail with the goal of optimizing the injured workers capabilities while promoting the efficient use of community resources, containing medical costs and reducing lost time, which benefits the bottom line. Network professionals are qualified and compassionate individuals who are dedicated to resolving complex issues which ultimately go hand in hand with any workers' compensation case. 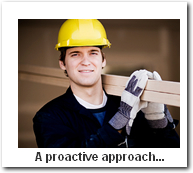 We will provide the positive impact you are looking for in your overall workers' compensation program. 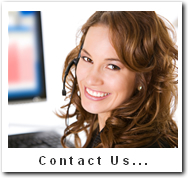 We are, "The Team to Depend on for the Results You Need." Contact us. Every case is unique and will be reviewed in a preliminary screening. If you decide to utilize our consulting services, you can be assured that the medical and vocational professionals at Network DMS will put our resources to work for you. Go to the "contact us" portion of our website, and fill out the contact form. We will promptly contact you upon receipt of your information.